From the same Swedish editorial team and publisher as Stieg Larsson's Millennium Trilogy comes a sensational new crime writing talent. Ingrid Olsson returns home from a Stockholm hospital to discover a man in her kitchen. She's never seen the intruder before. But he's no threat - he's dead. Criminal Investigator Conny Sjoberg takes the call, abandoning his wife Asa and their five children for the night. His team identify the body as that of a middle-aged family man. But why was he there? And who bludgeoned him to death? Lacking suspect and motive, Sjoberg's team struggle until they link the case to another - apparently random - killing. 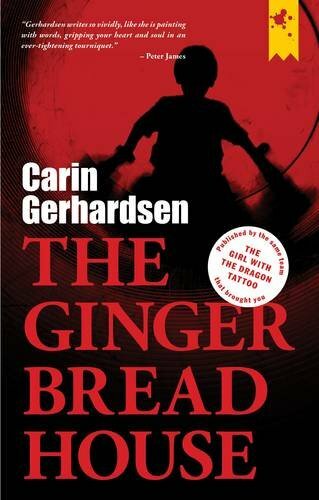 And discover they face a serial killer on a terrible vendetta...The Gingerbread House is the first title in The Hammarby Series, novels following Detective Inspector Conny Sjoberg and his murder investigation team - a gripping feast for all fans of Jo Nesbo, Camilla Lackberg and Henning Mankell. Ingrid Olsson returns home from a Stockholm hospital to discover a man in her kitchen. She's never seen the intruder before. But he's no threat - he's dead. Criminal Investigator Conny Sjöberg takes the call, abandoning his wife Åsa and their five children for the night. His team identify the body as that of a middle-aged family man. But why was he there? And who bludgeoned him to death? Lacking suspect and motive, Sjoberg's team struggle until they link the case to another - apparently random - killing. And discover they face a serial killer on a terrible vendetta . . .